How To Jailbreak Roku Streaming Stick? How To Jailbreak Roku Streaming Stick? From what I understand, everyone who is looking to jailbreak roku, is actually trying to stream movies & TV shows on Roku for free. Getting KODI on Roku is the simplest way of doing this. Roku is one of the best streaming stick available for Smart TVs as of now. 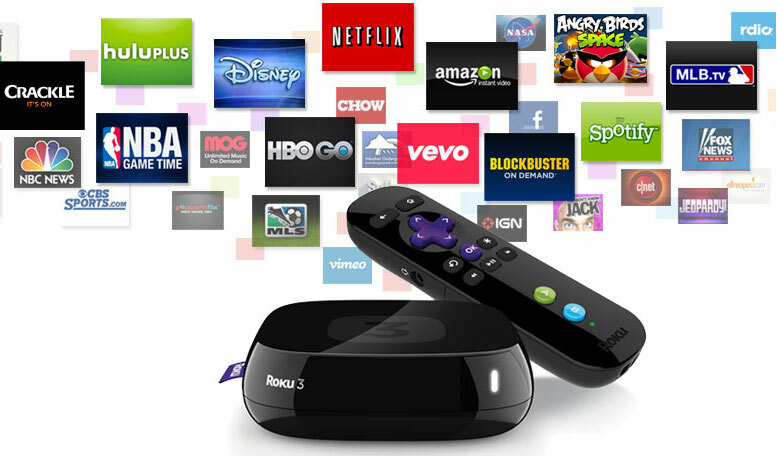 Also, Roku already offers many free channels to stream movies & TV shows from. But if you guys are still looking for a method to jailbreak Roku, then we are here for you. Technically, Roku can not be jailbroken. But without jailbreak, KODI can be installed on Roku. KODI is one of the best system software for streaming videos & music on any device. KODI is highly flexible and can be used on almost every device, whether it be TV, smartphone or PC. But, for some reason, KODI can not be directly used on KODI. This is because, from all the operating systems that KODI works on, Roku doesn’t fall in any of them. But we still have got an escape for you guys. How To Stream KODI On Roku? We can indirectly stream the KODI content on Roku. We will need a Windows PC or and android device in order to make this happen. This process will require the use of cast feature. But currently, the cast features is available for use only in Roku 3. So whatever we will cover in this article, will be applicable only for the Roku 3 streaming stick. KODI is basically an open source project, and hence anyone can make the changes to comply for any other feature. KODI is a very simple application which makes the streaming of videos & music possible on various devices. But, KODI is next to useless without proper add-ons. Yes, many developer add-ons are available using which movies & TV shows can be streamed on KODI. Exodus is one of the best known add-on for KODI. Many people use Exodus as it’s the best add-on to stream videos on KODI. KODI is an emerging application software for entertainment. Be it a smartphone (android or iPhone), a PC, a mac or Smart TV, KODI has made itself available for all kind of users which is phenomenal. We have quite a few guides on KODI on our blog which we would recommend everyone. Users can apply this simple trick to jailbreak roku and use it on KODI. KODI can be easily installed and used on an android device. So we can simply use an HDMI cable and stream the android device on Roku. This way we can use KODI on Roku. This is a very easy setup which can be done by anyone. Also, it does not involve any technical knowledge. 1. Roku 4 streaming stick is popular only among the people who own 4K Smart TVs. Roku is specially built for these HD Smart TVs. 2. There are shortcut buttons for popular TV channels like Hulu & Netflix. 3. Can be connected to the WiFi networks to stream videos in HD quality. 4. Becomes a killer combination when used with KODI & Exodus. Entertainment guaranteed. Of course. In fact using Roku without KODI is the safest way to enjoy latest movie & TV shows. Agreed, some of the channels and movies will be missed, but you can enjoy the rest available for completely free without worrying about illegal stuff. Many people ask this question, is KODI illegal? No! KODI is simply a software which helps streaming videos. KODI is also available on the Google play store. But the add ons like Exodus definitely make the use of KODI illegal. We have already written an article on the guide to stream KODI on Roku. So you guys can refer that guide as well. But we hope you guys learned a thing or two about how to jailbreak Roku here. We have many other interesting articles lined up on Apps Jail. So make sure you check them out before leaving. By mirroring your device, you will be able to reproduce the screen of your mobile device onto your TV screen allowing you see share and view the content from your phone. Here is what you need to do to enable screen mirroring from your Roku device. Roku OS 7.7 – This feature is automatically enabled and there is no action required on your end. Roku OS 7.6 – Start off by pressing the “Home” button on your Roku remote. Navigate to settings then select system, then screen mirroring and then select “Enable screen mirroring”. So, there’s no modification being done to the Roku at all. KODI is being downloaded and controlled by another device (laptop, phone, tablet, etc), and being “beamed” to the Roku. Many TVs don’t even need the Roku for this. The Roku is being used for its intended purpose (though I can’t say the same for the device being used to send the signal). Why bother calling it “jailbreaking”? Because users search “jailbreaking” but are looking for the solution we mentioned. In order to get to the users we need to use the keywords they are searching for.